Newsletter Q2 2018 - Growing Healthy - Selong Belanak, Best Beach in Asia! Desert Point is definitely one of the worlds best waves and by rights is a household name throughout the surfing community. 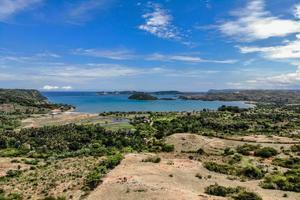 South Lombok is a vibrant community. Local residents love the authentic place and the vibe they live in. They do spend a lot of time outdoors, hiking or surfing. They also care about their environment and they want the fast growing area to remain in harmony with its traditions and inhabitants. So they not only try to apply the latest sustainable trends in development but also adopt more healthy eating habits beyond the usual nasi goreng (“fried rice”) and Bintang beer. Sustainable development is definitely a top talk in town. Small permaculture gardens have popped up all over, many looking how to improve the soil quality, mix the right crops or fight against erosion in hilly terrain. As for solar energy, a free energy, its long term benefit is huge a standard is being set. What really works though is related to the high disparity of water, a major issue for local communities. Replacing current construction practices and supporting the installation of efficient shower heads, toilets and other water appliances can conserve one of Earth’s most precious resources. A perfect example of such a conscious development is Dome Lombok (Dome Projects Lombok), which is creating and selling sustainable concepts within house construction, water management and food production. Through the construction of Eco-domes, made mainly with compacted soil and lime stone, they are pushing boundaries in sustainable housing construction without neglecting quality and comfort. On the other side, you can indulge yourself in one of those new healthy cafes (2 more amazing concepts opening soon, stay tuned! ), which serve delicious dishes made with local ingredients and lots of love. The “eating well” trend can be vegan or gluten but always includes a more nourishing diet. You will be astonished by the new palette: kombucha, gluten free bread, miso aubergines, csweet potato & coconut curry, vegan ice cream… It is another voyage, this time culinary with fancy ingredients and a lot of local inspiration. Beyond the search for eating healthy, there is a general interest in learning how to eat well and in harmony with the planet. What about you find a place where you can nourish your body, mind and soul, and learn through a new culinary experience! Tourists and residents alike want education and the local community has plenty of knowledgeable residents happy to share with you. 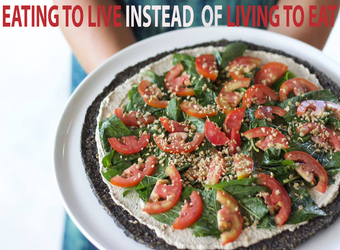 “Eating to live instead of living to eat”, as the Chef says.. Since President Joko “Jokowi” Widodo took office in 2014, Indonesia has seen rapid growth in its tourism industry. In 2014, there were 9.4 million overseas visitors to Indonesia. By 2017, that number had exploded to over 14 million and continues to climb. Although most opinion polls indicate a significant lead of Widodo over Subianto (hence seemingly implying an easy victory for Widodo in the 2019 election), the battle may become just as tight as in 2014, especially given there are a lot of (social) forces at play in Indonesia at the moment. READ Presidential Election Indonesia 2019: Another Jokowi-Prabowo Battle? The commemoration of Indonesia’s 20th year of Reformasi in May this year coincided with Malaysia’s new chapter in democratization and governance. In the 14th general election held on May 9, Malaysians voted the reform-oriented Pakatan Harapan (PH) coalition into power, replacing the decades-long rule of Barisan Nasional (BN). This historic development in Malaysian politics instigated peculiar reactions on Indonesia’s side. Indonesia Minister of State-Owned Enterprises (SOE) Rini Soemarno has launched the groundbreaking of the Paramount Lombok Resort & Residence project in Mandalika Tourism Region. The tourism region is also known as The Mandalika. Faik Fahmi, Angkasa Pura (AP) I President Director, the company which manages 13 airports in Indonesia, including Lombok’s. He announced a beauty contest will be held after a roadshow in several countries to offer Lombok International Airport (LIA) development project. “There are a number of investors from Europe, the Middle East, and Asia interested]. Presently, he explained, his company still owns 550 hectares of land around the airport that can be developed into a hotel area and logistics hubs. In the midst of the lush greenery of the island of Lombok is the placed the Gunang Rinjani volcano which lastly erupted in 2010. Besides that, visitors are still amazed and still come to visit this volcano to see the amazing flora and fauna that grows on the south east where Asia meets Australsia. A new underwater sculpture in Indonesia will take divers to a hauntingly beautiful place below the surface, where human figures will slowly become a coral reef. If you've ever been to Bali and thought, “Cool. Is there another island like it?”, you are in luck, because there is, and it is thoughtful and mysterious and rough around the edges. Known as the “brother of Bali,” Lombok, one of the major islands of the Indonesian archipelago, has landed on the radar of more and more tourists for its off-the-beaten-path energy. 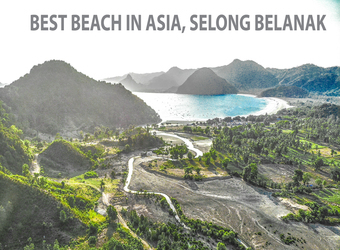 Selong Belanak is just another stunning bay but to many it is the most spectacular with a sunset hovering between sea and mountains and an infinite 4km long pure white fine sand beach. It is an ideal hangout for families and beach hoppers alike. Surf is also available all year around at different breaks around the bay. For the better the development has been rather slow and in human proportions only. The local and expat community have gathered behind the idea to minimise the impact from the growing tourist flow. Sempiak Villas is a long time small scale resort, which now boasts a spa, a yoga shala and a restaurant on Selong beach. I could not recommend more to stay there at your next visit. Ola Ola Homestay and Bukit Indah Bed & Breakfast have a lot of charm too and contribute to this unique corner of paradise. Selong Riverside, a 6ha hill site is nestled to the east of the beach, between forestry area and beautiful mangroves, all walking distance to the beach. With a maximum of 10 owners, peace is a guarantee in this new developing area. Nagaindo can offer a few sites from US$50 per sqm. Servicing works is set to start on Q1 2019 with construction the following quarter.